Airmic is the association for those who are involved in risk management and insurance within their organisation. Members include finance directors, auditors and risk and insurance managers. The association supports members through training, research and special events. 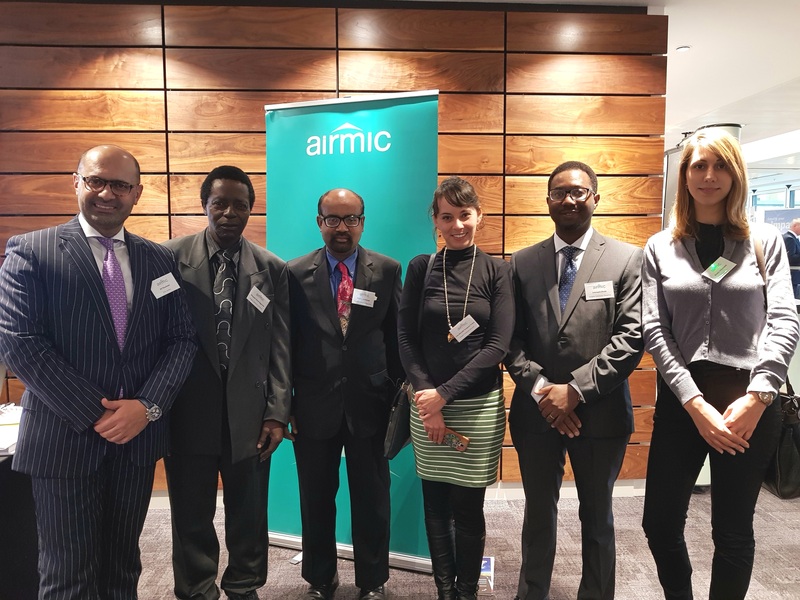 Dr Madhu Acharrya (MSc Risk Management and MSc International Banking, Finance and Risk Management Programme Leader) and five GCU London Risk Management and Finance students attended the 2017 ERM Forum, Airmic’s conference focused on enterprise risk management. Keynote speakers included Professor Richard Clegg (Managing Director of Lloyd’s Register Foundation), Peter Den Dekker (Past FERMA President and Head of Insurance and Risk Management and the Head of ERM of Royal Philips), and Amanda Mellor (Group Secretary, Head of Corporate Governance and Board Member of Marks and Spencer).